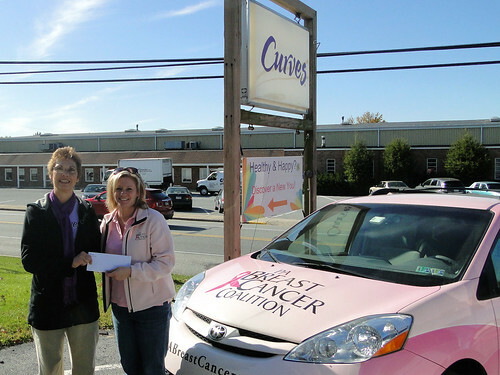 Posted By PA Breast Cancer Coalition on December 16th, 2011 at 9:02 am | 2755 comments. 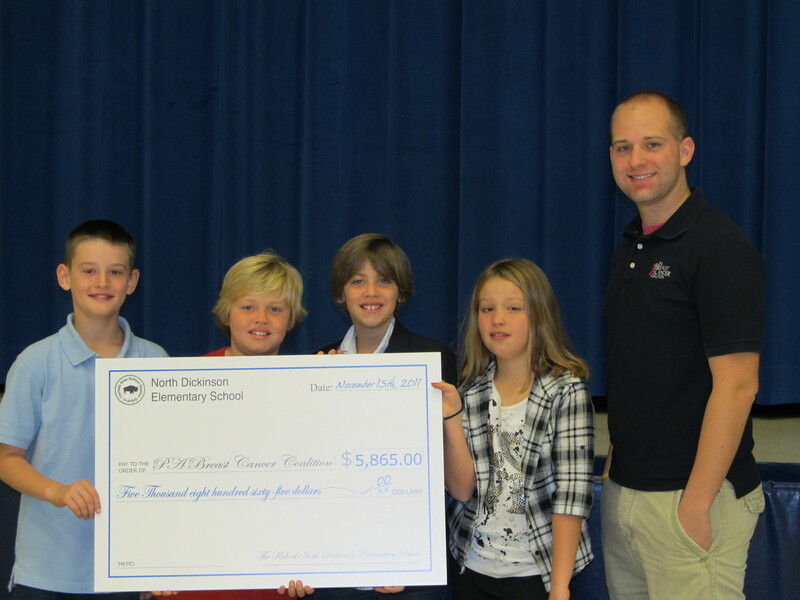 Fraternal twins Sam and Clay and their fellow classmates Delaney and Tyler were inspired to make change during October by collecting change with their Penny, Nickel, and Dime Wars fundraiser to benefit the PBCC. The foursome challenged students in every classroom at North Dickinson Elementary (Cumberland County) to compete with other classrooms by bringing in change and small bills from home. 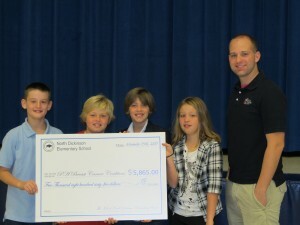 Students raised $3,065 on their own, with donations from the community bringing their grand total to $5,865. Carlisle Regional Medical Center, the Tuckey Companies, the Phillips Group, Giant, and the North Dickinson Elementary School PTO joined in support of the students’ efforts with donations. The classroom that raised the most – Denise Stasyszyn’s combined fourth- and fifth-grade class – was rewarded with a pizza party courtesy of Little Caesars. But the impressive school wide effort was recognized by Dairy Queen with an ice cream party. Thanks to Sam, Clay, Delaney, Tyler and all the students, parents, teachers and staff of North Dickinson Elementary for showing that a little change can go a long way to helping in the fight against breast cancer! Posted By PA Breast Cancer Coalition on December 16th, 2011 at 9:01 am | 479 comments. It was the happiest time in my life. I had just gotten engaged two months before, had just finished running my first two 5Ks, and was in the best shape of my life. My job was great, I loved my family and friends and social life, and now was planning to marry the love of my life. That’s when I was diagnosed with breast cancer and my world changed. I am Marjorie, a 26-year-old newspaper reporter who was diagnosed with breast cancer in April 2011. I had recently lost about 30 pounds on Weight Watchers, and was running 5Ks with my fiancé. I found a lump in the shower while doing a self-breast exam. Being a childhood cancer survivor (I had Leukemia when I was 12), I was understandably worried. But when I called my doctors they reassured me: I was 26. Too young to get breast cancer. The lump was probably just a cyst. Luckily, my doctor scheduled a fine needle aspiration anyway. 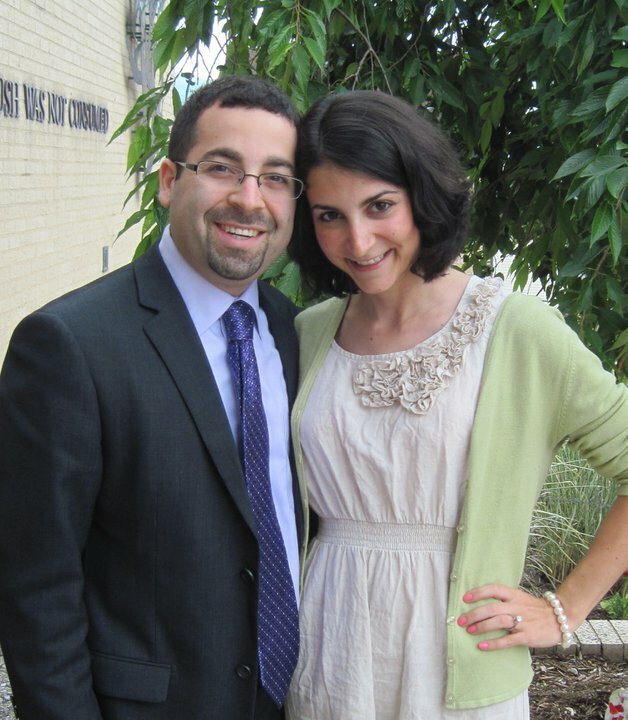 A few days later, on the first day of Passover, I was at my fiance’s family’s house near Philadelphia when I got the call at 8:30 in the morning. That’s how I knew something was wrong. The doctor told me, over the phone, that some cancer cells showed up in my fine needle aspiration, and I would need to be treated. Days later I was in Hershey, and for the two weeks that followed my life was a blur. There was test after test after test. And after each test was more waiting. And wondering. And crying. Would I get married in March like we had planned? Would we even be able to plan this wedding? Why was this happening to me, right now? I’m a 26-year-old bride-to-be at the prime in her life. Why me, and why now? Later it was confirmed I had DCIS- Ductal Carcinoma in Situ. I had a right mastectomy in May with three lymph nodes removed. Luckily, the cancer was caught so early it hadn’t spread to the lymph nodes, and no invasive cancer was found, so no chemotherapy was needed. I tested negative for hormone receptors, so I didn’t receive any type of hormone treatment, and tested negative for the BRCA gene, so the doctor didn’t recommend a bilateral mastectomy. During my mastectomy surgery I had a tissue expander put in to prepare my skin and chest for a permanent implant later down the road. My doctor confirmed that the mastectomy got “all of it” but was still concerned about how close the tumor was to my skin, so I went in for another surgery in August in which she removed more skin, muscle and fat to get a clear margin. The pathology came back clear. It was officially gone. Now I have just finished my second round of saline fills for my expander, and am waiting for my implant surgery which will be in the end of October. The wedding planning is well underway and we are scheduled to walk down the aisle in March! My fiancé and his family, and my family, and all of our friends have been absolutely phenomenal throughout the process. I don’t know what I would do without them by my side. Although my treatment is done, I still have my reconstructive surgery left. I’m also left with fear and anxiety of the cancer returning, or occurring in the other breast. I am learning to deal, each day, with my “new normals” – having a very painful tissue expander, and eventually silicone implants. And knowing I lost a breast at the age of 26 to cancer. Each day is a new journey, and I’m chugging along, but I’m scared, hurt and torn up. I know I have the inner strength to get through this, and an amazing support system to lean on. I know this experience, however painful and devastating, both physically and emotionally, will make me a stronger, better person in the end. I’m working hard to be my best me. I want younger women to be aware that breast cancer can happen to them, and to do self-exams. If I hadn’t found my own cancer I don’t know how many months, or years, it would have been until it was found. People don’t talk enough about young women with breast cancer. But, we’re out there and we deserve to be heard. 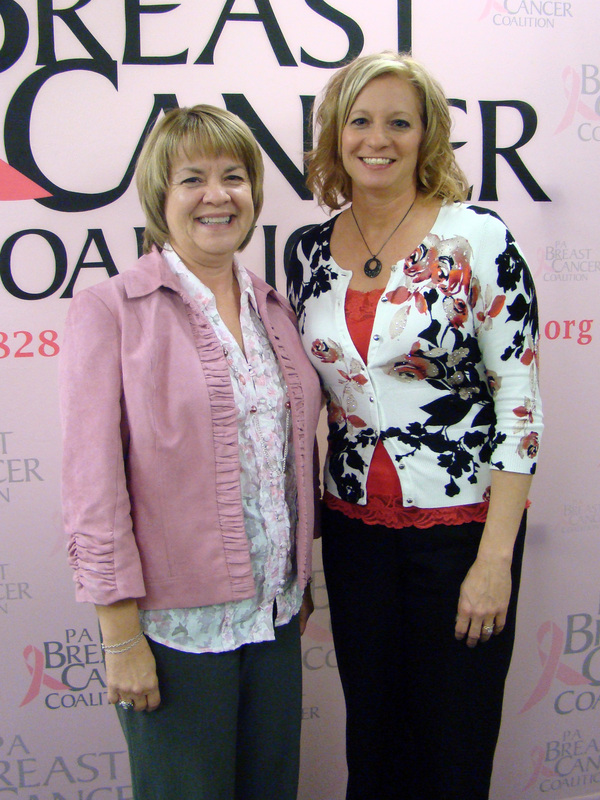 Marjorie Stromberg is one of two Survivor Story winners from our September Pink Link contest. 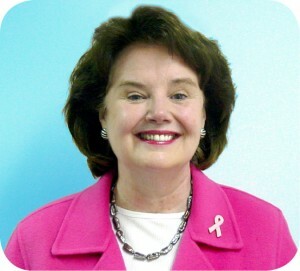 Posted By PA Breast Cancer Coalition on December 16th, 2011 at 9:00 am | 2623 comments. Bisphosphonates are a class of drugs now used to prevent the loss of bone mass in women with osteoporosis. Previous studies have shown that this class of drugs also appears to prevent cancer metastasis to the bones when a woman has breast cancer. A very recent study, published in the International Journal of Cancer, indicates that these drugs may also lower the risk for developing primary breast cancer. In the IJC study, the records of almost 42,000 women in the United Kingdom were examined and when those who had been taking oral bisphosphonates to those who had not, researchers found a reduction in the former group in both breast and colorectal cancers. An abstract for the article can be found here. Posted By PA Breast Cancer Coalition on December 16th, 2011 at 8:59 am | 1179 comments. Sharon Willison, Chief of Staff to PA State Senator Timothy J. Solobay, pictured with Heather Hibshman, PBCC Executive Director at the Greene County reception. The busy fall schedule for the 67 Women, 67 Counties: Facing Breast Cancer in Pennsylvania traveling photo exhibit brought the display to Southwest Regional Medical Center (SRMC) in Greene County in early November. Heather Hibshman, the PBCC’s Executive Director, spoke at the event along with Carolyn Wissenbach, Penn State County Extension Director and Greene County Cancer Coalition Chair; Cynthia J. Cowie, CEO?of SRMC; H. Adam Patton, D.O., Diagnostic Radiology of SRMC; and Valerie Cole, a breast cancer survivor and SRMC volunteer. The exhibit, which features photos and quotes from women from each county in Pennsylvania, brings the message of breast cancer awareness and the importance of early detection to every community it visits. Thanks to the Pennsylvania Department of Health for their continued support of the traveling photo exhibit. Posted By PA Breast Cancer Coalition on December 16th, 2011 at 8:58 am | 895 comments. 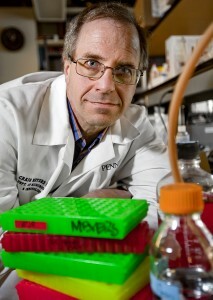 The PBCC visited Dr. Craig Meyers’ lab at the Penn State College of Medicine to get a first hand glimpse at the promising research happening there. Thanks in part to an initial grant through the PBCC’s Refunds for Research program, Dr. Meyers’ team was able to discover a virus that effectively kills breast cancer cells. Refunds for Research is made possible through the generosity of Pennsylvania taxpayers who contribute their refunds for breast cancer research. When more funding was needed to continue the study, the PBCC was able to provide Dr. Meyers with an additional research grant of $100,000. Many researchers have applied for grants for the 2012 program cycle, and those who have been selected to receive grants will be announced in the coming months. You can help fund research like Dr. Meyers’ groundbreaking study by donating all or part of your state income tax refund to the PBCC’s Refunds for Research program. Every penny contributed through the state income tax refund goes directly to fund breast and cervical cancer research happening right here in Pennsylvania. Posted By PA Breast Cancer Coalition on December 16th, 2011 at 8:57 am | 2298 comments. 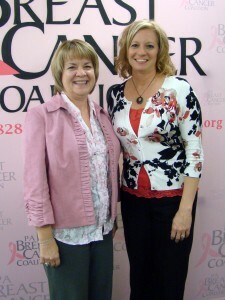 Our Grassroots Partners are an important part of the PBCC family. This year alone, our community fundraisers have contributed $370,000 and counting to the PBCC, which has enabled us to do the work that we do on behalf of Pennsylvania’s breast cancer survivors and their families. Grassroots Partners are the lifeblood of the PBCC, powering us to work hard each day to make breast cancer history. From athletic events to fashion shows, motorcycle rides to horse rides, restaurant specials and school contests – our Grassroots Partners have been inspired to selflessly give of their time and talent to help us in our mission. We are continually amazed by the ideas and energy that our Grassroots Partners have, and we are forever grateful for their contributions. We hope that the success of our 2011 Grassroots Partners continues into 2012. With your help, I believe that is possible. If you are inspired to make hope grow like our Grassroots Partners, consider setting up your own fundraiser for the PBCC. Or if you are unable to commit to coordinating a fundraiser, visit our Events Calendar to see when there is an event near you.